Alice Springs is a pleasant, modern town with good shops and restaurants. 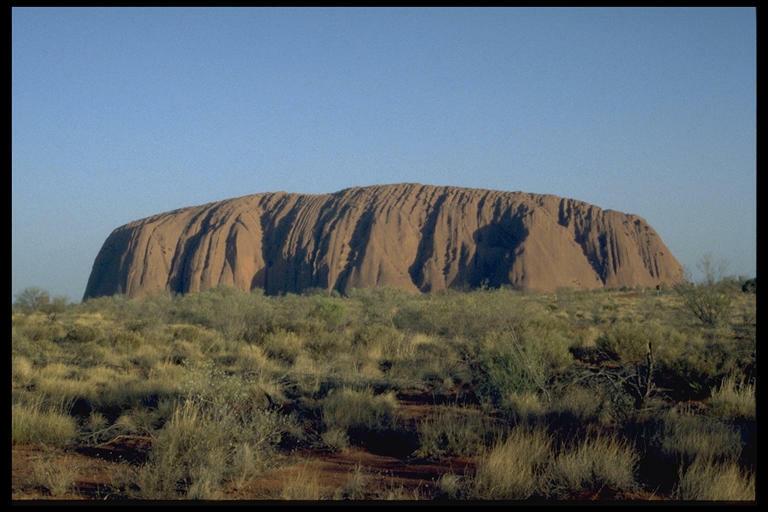 It is an access point for the many tourist attractions of central Australia. Summer days in Alice Springs can get very hot (up to 45 degrees C) and even winter days are pretty warm. However, winter nights can be freezing. Melanka's Backpackers Resort is very central but quite noisy. Very nice and quiet is Elke's Backpacker, but about 10 minutes on foot. Click on the thumbnails below to get the full screen picture. Use your right mouse button to go back in frame. 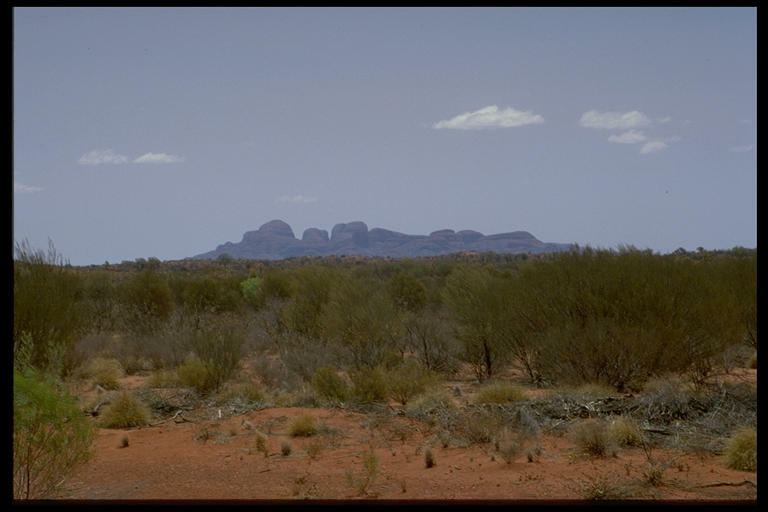 The Olgas, or Kata Tjuta (many heads). About 30 km west of Uluru. 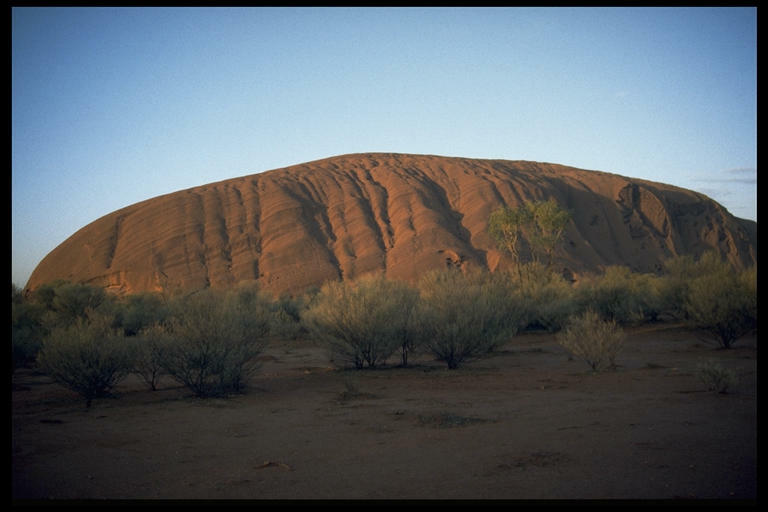 The tallest rock, Mt Olga, at 546 metres, is about 200m higher than Uluru. 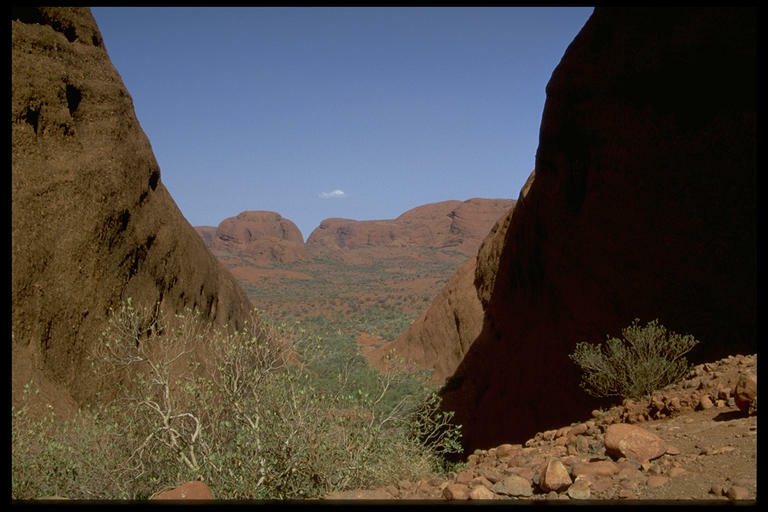 Walk through the Valley of the Winds, part of the Kata Tjuta. Ayers Rock, or Uluru just before sunset. 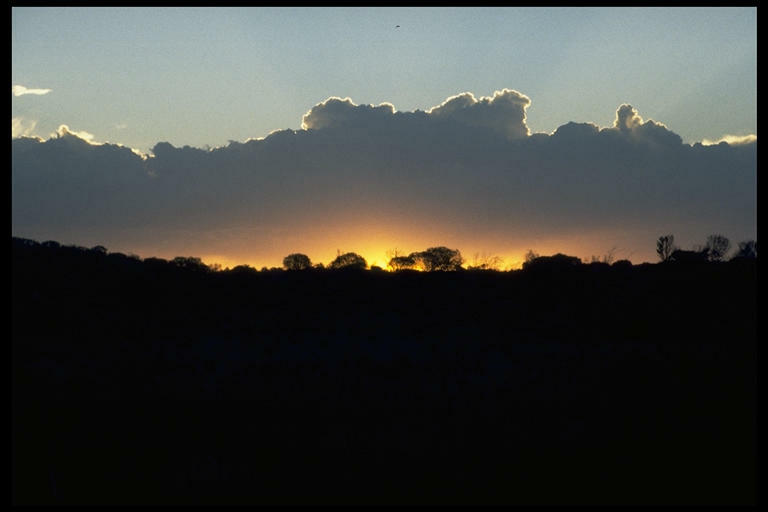 3.6km long and rises a towering 348 metres from the pancake-flat surrounding scrub. Sunset at Uluru. Sunrise at Uluru. 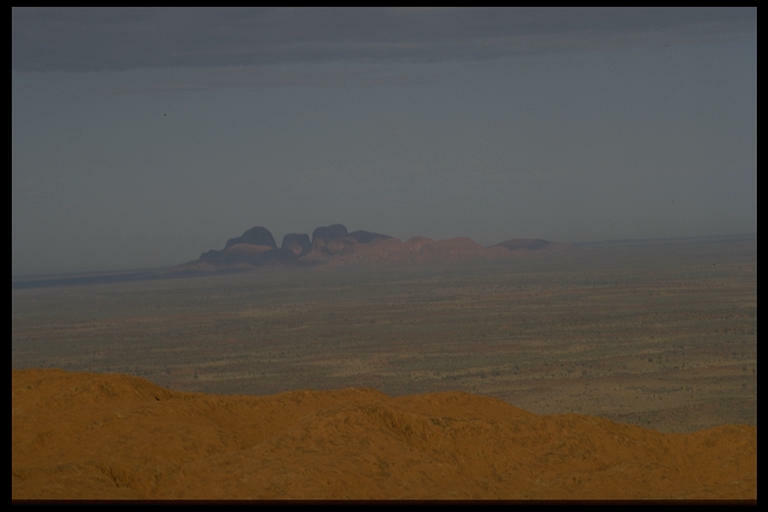 Olgas from top of Uluru. 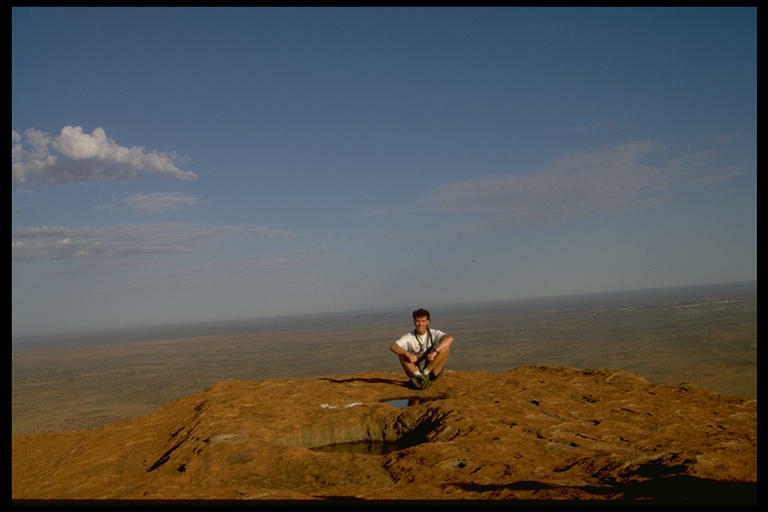 Lupo on the top of Uluru. 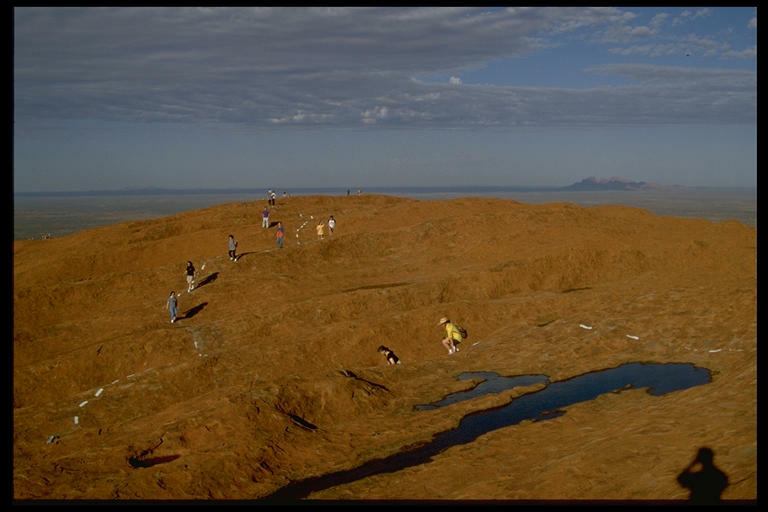 Walking trail on the top of Uluru.